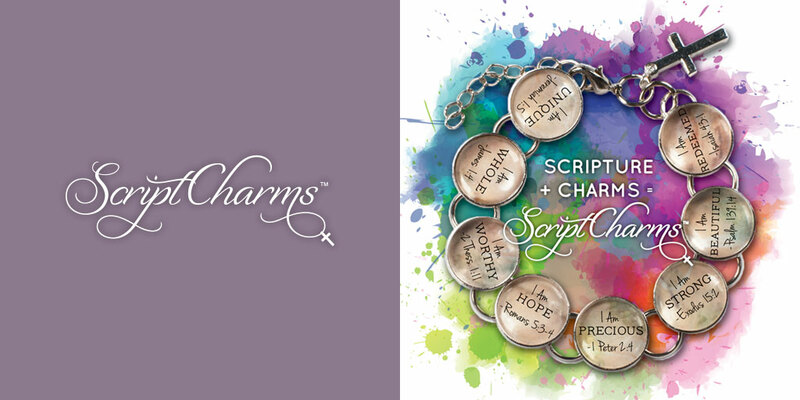 Scripture + Charms = ScriptCharms. 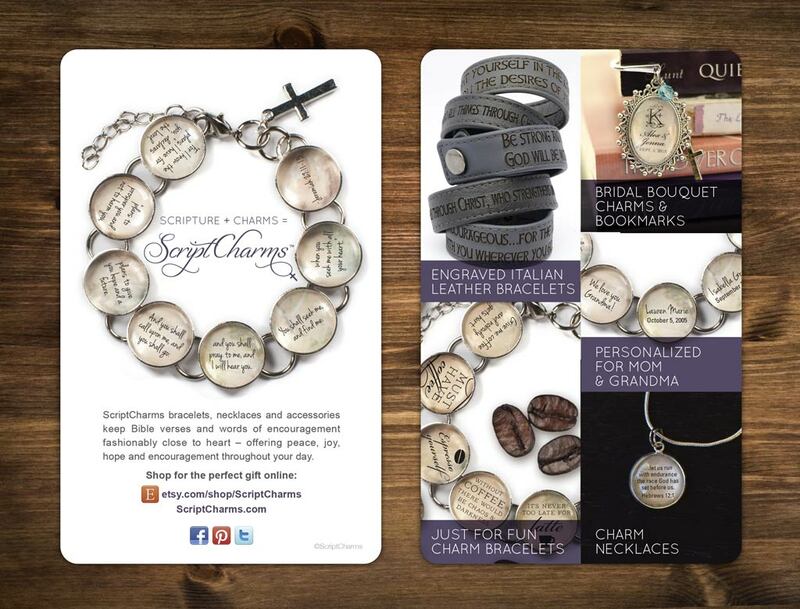 ScriptCharms bracelets, necklaces and accessories keep Bible verses and words on encouragement fashionably close to heart – offering peace, joy, hope and encouragement throughout your day. 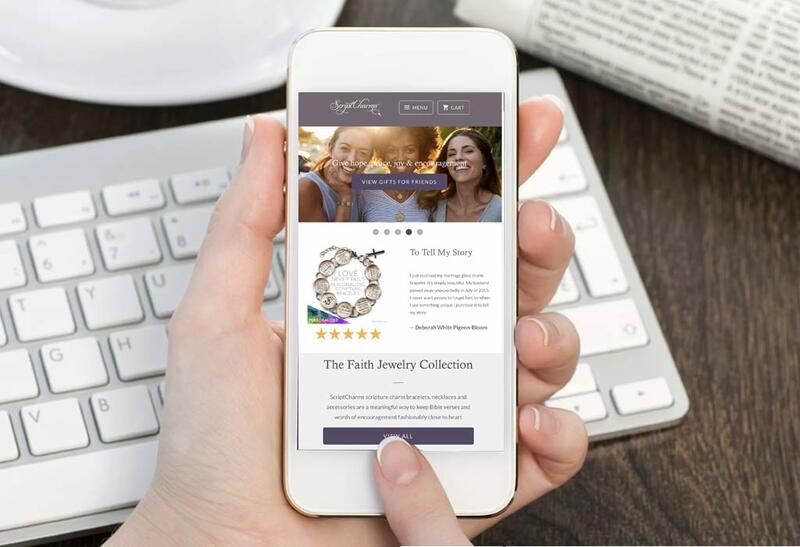 Strawberry Fields Design’s president and creative director, Addie Sorbo, co-owns ScriptCharms. 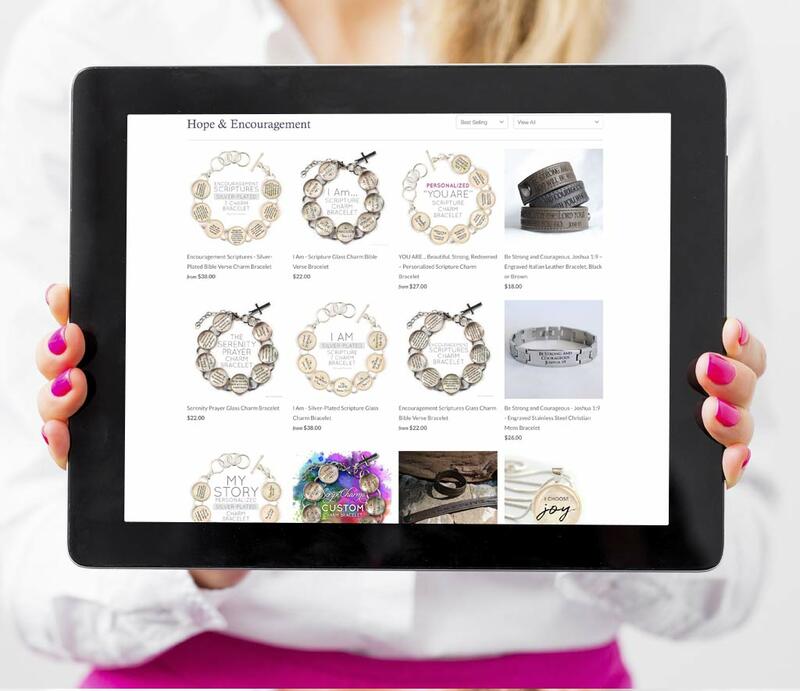 She helps design custom and personalized jewelry, and manage and market her small business. 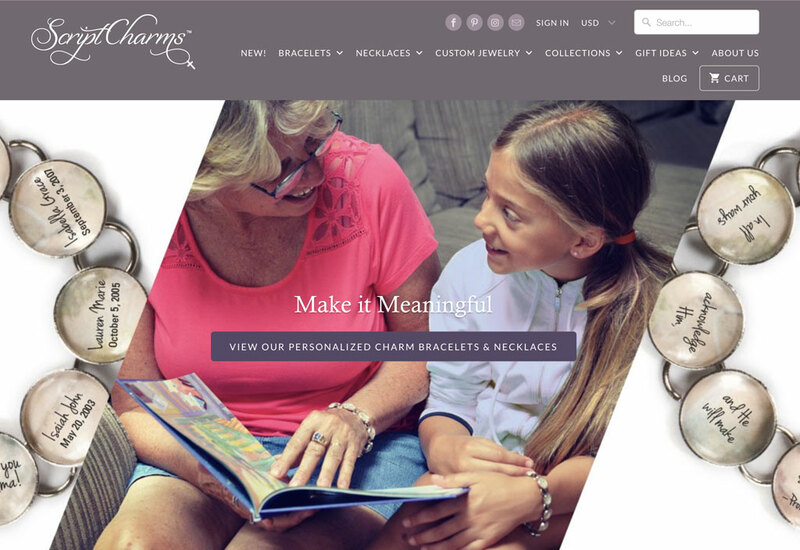 We helped develop ScriptCharms’ boutique brand, as well as design all of the print and online marketing materials needed to launch and promote their unique product line– including flyers, packaging, POP displays, product photography, responsive website, Etsy store, email marketing, and Facebook, Pinterest, and Twitter pages. Print Graphic Design & Interactive Web Design Services: Boutique branding, flyer design, packaging design, product photography, responsive website design and development, e-commerce website design, social media development.